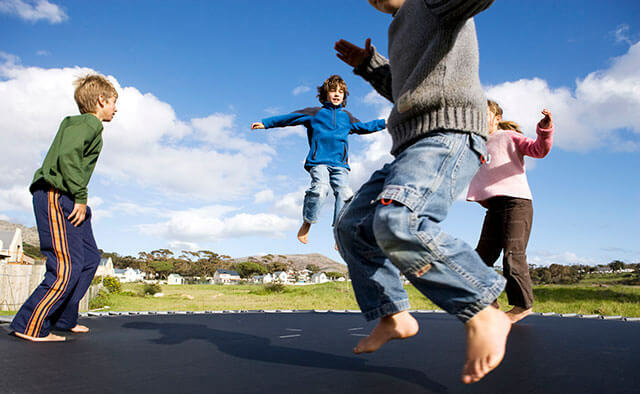 Trampolines are excellent additions to every parent’s back yard. They are a great source of fun and exercise, and kids absolutely adore them. 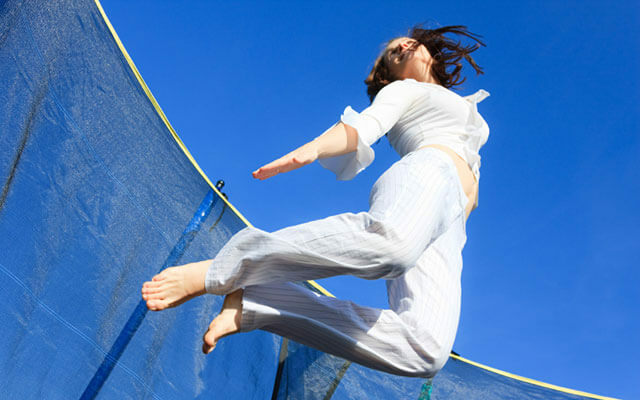 If you are still on the fence, check out these reasons why a trampoline is a must have for your home! Let’s face it, kids are constantly bored. They are constantly asking you to buy them new toys, which they get bored of really quick. And then you are left with the same process all over again – it is a source of great frustration for kids and parents alike. Well, trampolines are a different case. While they are more expensive than regular toys (and rightly so, considering the amount of materials required), the purchase will last for a while. Moreover, your kids will constantly find new ways of playing with trampolines. Bouncing is a lot of fun, as for most of the kids it is not an activity they have been doing all that often, which gives trampolines a great novelty factor. However, it does not wear off at all – there are numerous ways to bounce and play on a trampoline. Compare that with regular pre-packaged toys that kids cannot do much with, save for, say, Legos, it is no wonder they are constantly bored. The strain on your muscles is much less when you bounce, as compared with running. The same goes for kids – and their muscles, bones or joints are very fragile, which means even more care should be taken with them. Kids will also find that regular trampolining helps them develop their motoric skills, especially their sense of balance and reflexes. It is very important for kids to feel good in their skin, especially as they get older. The heightened body awareness is therefore essential. When your kids are full of energy, it can sometimes be a pain in the neck to constantly try and keep up with them. After all, you are so busy with your everyday problems that you often simply have no energy to do what your child asks you to. Do not feel bad, as most parents go through this phase too. It is simply a fact of life. What you can do, though, is help them burn that excess energy off! They will bounce, exercise and after that, go sleep like logs. It’s much healthier for them to do that than stare at the TV screen for hours on end and be unable to go to sleep at the appropriate hour – an issue lots of parents have to deal with. Imagine the scenario – the child wants you to play with them in the garden. Fine – Of course, a parent needs to spend time with his/her offspring. But there are bound to be times when you simply cannot muster the energy to play up to their demands. Well, you can simply tell them to go bounce on the trampoline, while you are sitting in the garden, sipping some coffee or tea, relaxing and watching your child have fun (You should never let your children bounce on the trampoline unattended. It is prudent to stay safe, just in case). Well, if your children can jump and it feels wonderful for them, why shouldn’t you? You can always get a larger trampoline that can fit you as well and bounce away to relieve your stress and reap all those health benefits! You simply cannot go wrong with owning a quality trampoline – and for the times when you should exercise but simply do not feel like going jogging, a trampoline is simply an indispensable tool. Try it out; you will be grateful for the advice! If you get a large enough trampoline, bouncing on one can be a great family bonding activity. Alternatively, you can have your child invite someone over and play together! The possibilities are endless. There is also a huge variety of games you can play with your children, or that they can play amongst themselves. Such a fun activity can therefore be enhanced even more and become a great social activity. Your kids can make new friends and you become the “cool” parent with the trampoline. It is a great way to connect with the other kids’ parents, too. Trampolining has something not many other games provide all at once – it is great for your body, for your mind, and for your soul! What’s not to like about them? Now that we have convinced you that you should definitely get a trampoline and find out that the fuss is all about, we direct you to our huge database of reviews and news, so that you can choose a perfect trampoline for you! We know trampolines can be quite a large purchase, so you definitely have the right to inform yourself – after all, if you buy a high quality trampoline, it is bound to stay with you for years! Check our selection of best trampolines or selection of best trampolines for kids!